Jingneng Zhuozhou coal-fired power plant to reuse 99 percent of wastewater. GE recently announced that it will supply its advanced wastewater treatment equipment for the Jingneng Zhuozhou coal-fired power plant in Zhuozhou City, 60 kilometers south of Beijing, in Hebei Province, China. 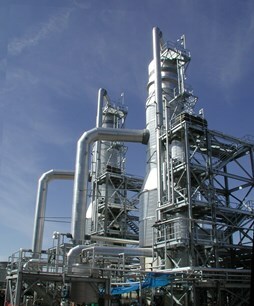 GE will provide its membrane and brine concentration technologies followed by crystallization to produce pure NaCl salt (sodium chloride). GE’s zero liquid discharge (ZLD) technology will treat flue gas desulfurization (FGD) wastewater to meet Chinese emissions and discharge limitations for new thermal power plants and enable the reuse of 99 percent of the FGD blowdown wastewater at the plant. The power plant’s wastewater will be recycled and used as makeup water. China is facing long-term water scarcity and environmental challenges. The government recently tightened emissions and discharge limitations, and all new thermal power plants are required to achieve ZLD of FGD wastewater as a condition of environmental impact assessment approvals. By adopting GE’s ZLD technology, Hebei Zhuozhou Jingyuan Thermal Power Plant Co. Ltd., a division of China’s state-owned Jingneng Group, will reach a new milestone in that pure salt is recycled in environmental protection for coal-fired power plants. The project is part of a plan for Hebei Zhuozhou Jingyuan Thermal Power Plant Co. Ltd. to relocate high-pollution plants out of Beijing’s urban areas. The new Jingneng Zhuozhou Power Plant will replace the existing Shijingshan Power Plant, which had already been decommissioned in March 2015. The new plant, which is expected to enter commercial operation in May 2017, will be a demonstration ZLD power plant for the country. “We stand strong in our commitment to provide industrial users, including coal-fired power plants, with solutions for tough-to-treat wastewater. Our technology to treat flue gas desulfurization wastewater will help meet new Chinese emissions and discharge regulations for thermal power plants,” said Kevin Cassidy, global leader, engineered systems—water and process technologies for GE Power.